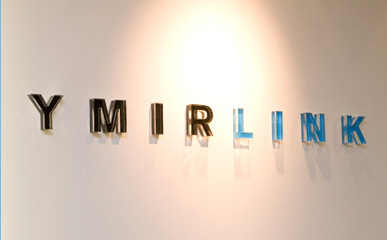 Top page > List of companies > YMIRLINK Inc. Starting from the establishment of our company, we have been doing the internet system, service development with us pursuing of developmental skills and convenience. We intend to promote the communication between enterprises and customers by our e-mail messaging products as well as services. In which we have received many positive feedbacks from our clients. <br>Nowadays, the lives of consumers have been changing rapidly within the change of the society. We try to use our software technology to create and define new values and to use them as tools to make the lives of people easier. We start our business with the belief of providing high quality of communication! We shall aim for the goal of earning more trusts from our clients and customers from now on. We provide a service called “Cuenote®”. It is an email messaging, marketing solution cloud service to promote the communications between enterprise, groups and individuals. Currently, we are doing the system development for major scale community site as well as major internet Ads agency (delivery system). Supporting system development for middle scale web service. We propose the most fitted system solution according to clients’ needs, such as huge volume of data solution, transaction solution know-how utilization, short-term campaign sites etc. We provide the overall inspection service on an application level as well as for the infrastructure etc to maintain a stable performance for the system. We provide services such as network structuring, utilization etc. We offer various service network’s utilizing management form end users points of view.